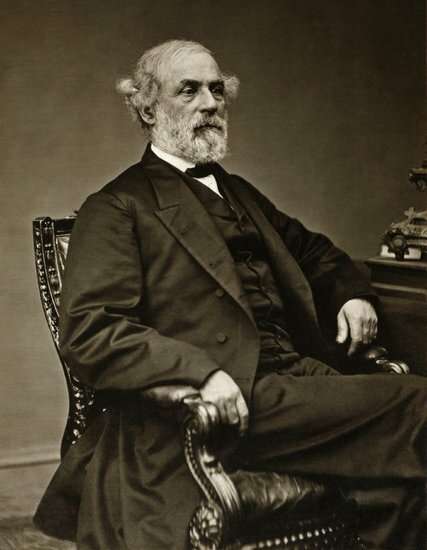 COMMENT: Robert E. Lee, before the outbreak of the war, was overwhelmingly regarded as the finest military mind in the U.S. army. Winfield Scott offered him command of all Union forces at the outbreak of hostilities. But he chose allegiance to his state of Virginia, rather than the Federal government. He didn’t fight for slavery. He freed his slaves. He was fighting for states’ rights. He was an honorable God fearing noble man. Stonewall Jackson was an extremely religious man who waged war with a passion, but also taught Sunday School to slaves. Lee and Jackson must be viewed in the context of the 19th century rather than being judged by the standards of the 21st century. The vast majority of Confederate soldiers who did the fighting and dying during that war didn’t own slaves. They weren’t fighting to maintain slavery. They were fighting because a foreign army had invaded their land. In 1860 this nation was more an amalgamation of states than a centralized government. States still had a tremendous amount of power and leeway to run their states the way they chose. The ever increasing power of a central authority occurred during and after the Civil War. The South were not the bad guys. Their leaders, generals and soldiers were not evil. They were Americans. REPLY: You are correct. Robert E. Lee wrote to the New York Times to correct what was written and he said before the war he would free his slaves within five years. Indeed, even George Washington owned slaves. You are correct that slavery was only one issue. The majority of the issue was considered to be States Rights, which was supposed to be the cornerstone of the union. Regardless of the issue be it slavery to abortion or marijuana, the issue of States Rights has been a key debate. Does the Federal government have the right to impose a law upon all States? In District of Columbia v. Heller (2008), the United States Supreme Court ruled that gun ownership is an individual right under the Second Amendment of the United States Constitution, and the District of Columbia could not completely ban gun ownership by law-abiding private citizens. In Martin v. Hunter’s Lessee, 14 U.S. 304 (1816), and Cohens v. Virginia, 19 U.S. 264 (1821), the Supreme Court held that the Supremacy Clause and the judicial power granted in Article III give the Supreme Court the ultimate power to review state court decisions involving issues arising under the Constitution and laws. The overwhelming number of confederate soldiers were not slave owners. They were indeed fighting for States Rights, not to own slaves they did not have. The “rich” plantation owners had the slaves – not the individual Confederate soldier. As always, everything is reduced to a single cause and effect when the issues were far more complicated. The capital is Washington , DC, only because Thomas Jefferson would not support Hamilton’s idea of a national debt unless the capitol was moved to the center of the country from New York City at that time. It was always a contention between North and South underlying the current events, which is brewing once again. This is the seed of the Civil War I have been warning we can move into. These extremists are now trying to stop Columbus Day parades, blow up Mt. Rushmore, and they are trying to dig up graves of Confederate soldiers to chop up their bodies. This is going completely insane. CNN and others are fueling this discontent and supporting this type of revisionist activity exactly as ISIS and the Taliban do in the Middle East – destroy history because they disagree with the past.